Buddy has ranch out in Franklin. He pulled his card yesterday and spotted this specimen. He got lost somewhere? 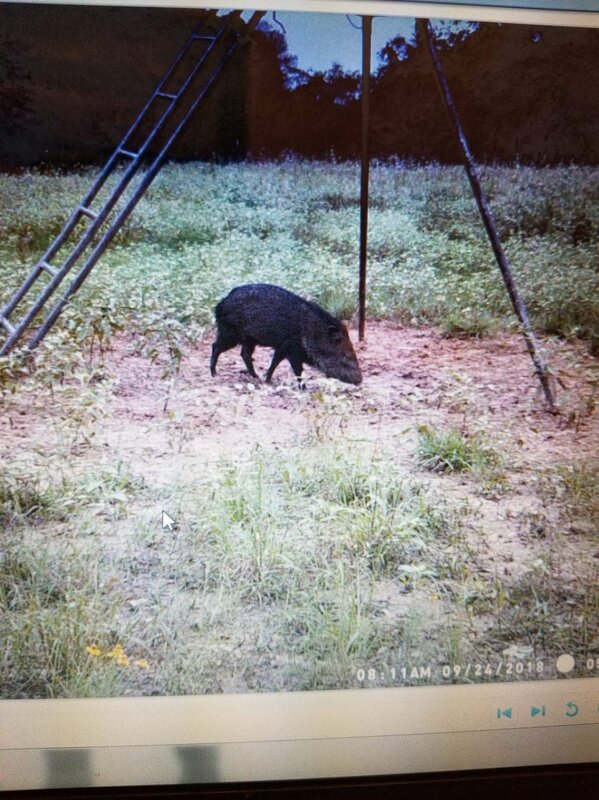 We have two in Bastrop county that showed up a year or so ago. I've seen em a few times, but those are the only two we've ever seen out there. I lived on the Medina River at 1604 west for about 12 years and saw javalina from time to time. Hunt In: Henderson Co./Anderson Co./Rains Co.
Thats wild! He's definitely out of his area. Hunt In: Grimes, Walker cty. Bet he got out of the Drive-Thru Safari. They have quite a few running around in there. Wow. Little piggy is out of their normal territory for sure. 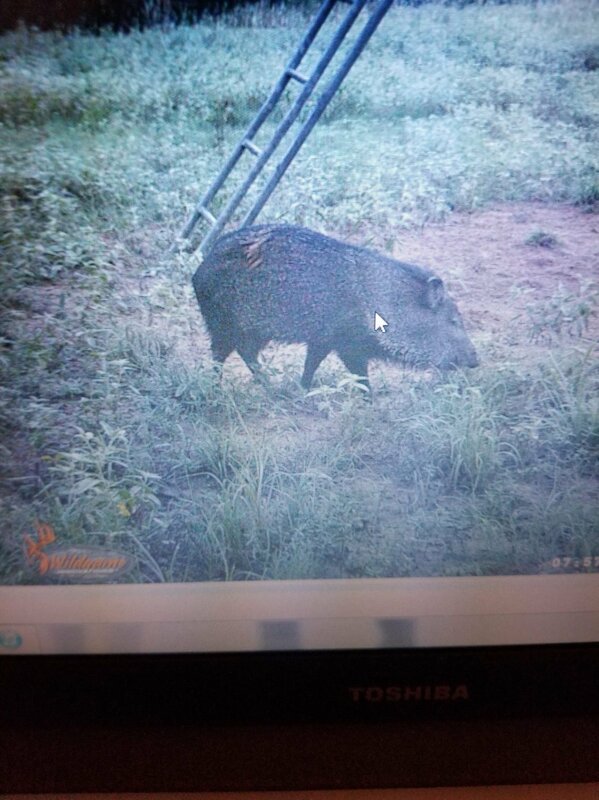 Had a pic of one in Jack County (north central Texas) several years ago.